Ask any sound designer and they'll be able to tell you the importance of ambience in post production. These tracks aren't just useful for filling gaps between segments of spoken dialogue, but also for creating a sense of consistency across shots - an outdoor scene having traffic or bird noises throughout, for instance. So from the microphones for recording to figuring out which sounds to capture, what do you need to know? One of the most important elements of collecting ambient tracks is knowing which noises you actually need. One of the most important elements of collecting ambient tracks is knowing which noises will be best for the final cut. This can be done both on set and in post (the foley team could grab some extra sound effects for you). Think about where the action is taking place - is it near a road, inside a big hall, in a retail district? Collect a number of 30-second wild tracks from the set itself if you are there, to get the natural audio. However, if there are elements you don't like, or that are not in shot, it might be worth going somewhere similar and getting ambience there. To use a specific example, there might be a fountain near your location, but it's not in shot. Thus, it would be cleaner not to include that sound effect (unless the audience knows its there, in which case you might need it quietly panned off-screen in post). 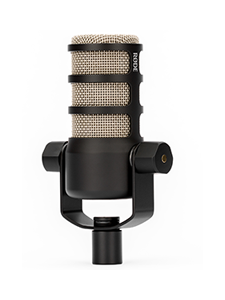 We recommend you turn up armed with quality RØDE microphones, with windshields that are suited to the location. To get a more interesting recording, many soundies employ stereo mics, such as in an X/Y pattern. This allows the sound designer to play more with the audio in post production. A directional shotgun mic might record too tight a track, though these would be ideal for picking up specific sound effects - bees buzzing, police siren passing by and so on - if need be. 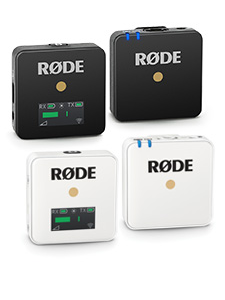 The RØDE Stereo VideoMic Pro would be ideal for many filmmakers, particularly who use a DSLR, as you'll see below. There's more to ambient noise than just room tone. Sound recordist Tim Prebble (30 Days of Night, Battlefield 4) recommends using your recording mics to capture both "coherent images" of an ambience, as well as "discreet elements". 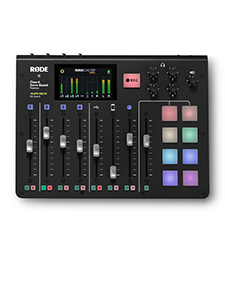 Basically, this means capturing the standard 30 seconds of tone on location as well as a number of additional, more intimate recordings to add to the effect later. This is your chance to bring a scene's world to life, be that through distant, muffled gunshots, an argument in another room or the distant racket of a magical waterfall.